I'm working on "Victory Parade", a graphic novel set during the Second World War in Brooklyn, New York and at the Allied liberation of Buchenwald. This book is about women working in the Brooklyn Navy Yard, war refugees, amateur women's wrestling, and the trauma of witnessing death camps. Did I mention wrestling? Your support helps me pay rent for my studio space and keeps me drawing! 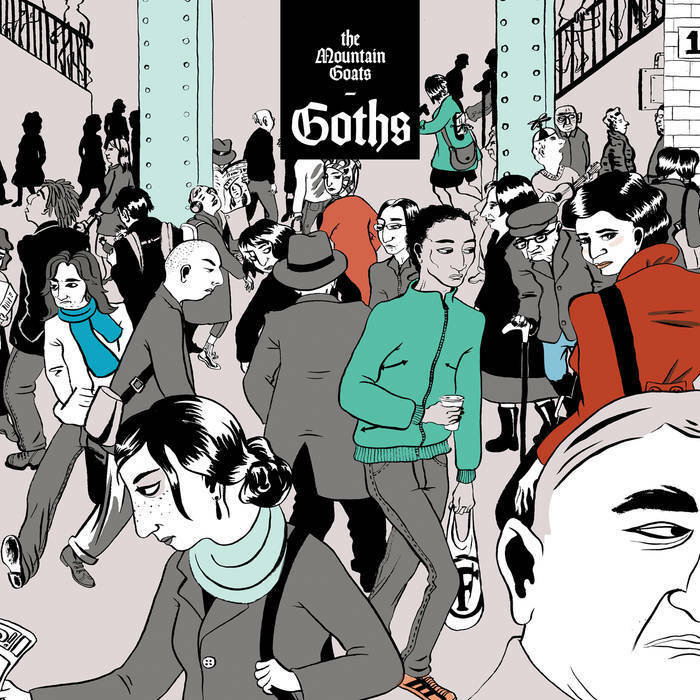 Cover art for the Mountain Goats album "Goths", with type design by Rob Carmichael of Seen Studio.